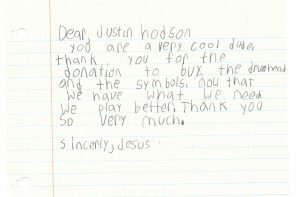 Hodson P.I. 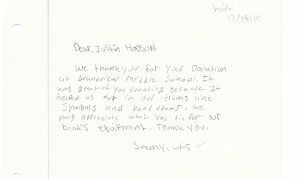 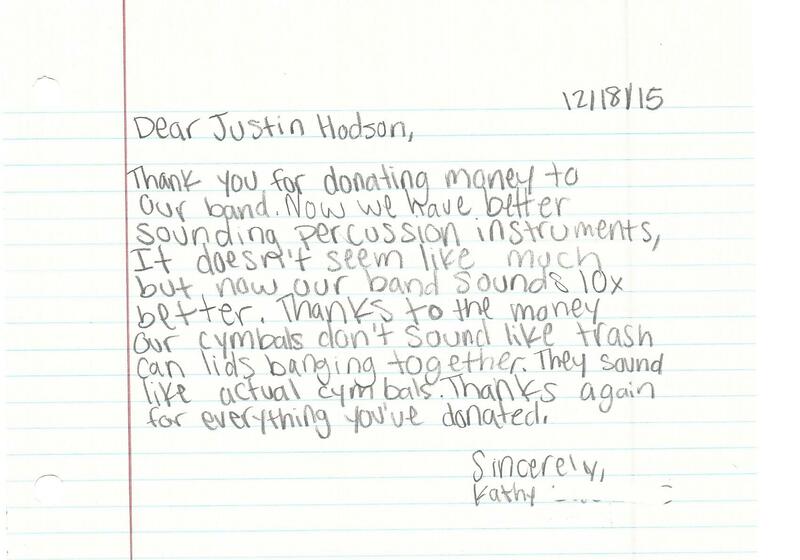 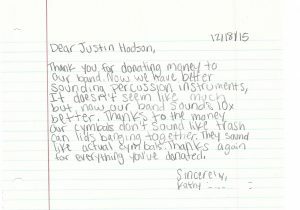 Donates to Middle School Band | Hodson P.I. 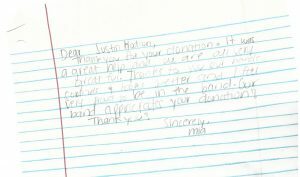 I’m so thankful for the opportunity to help others in the community. 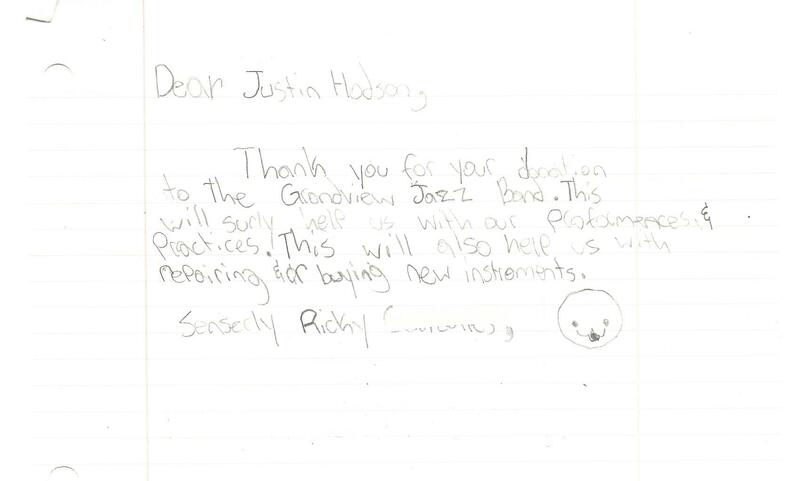 I was blessed to have the opportunity to help Grandview School in Los Angeles County, California. 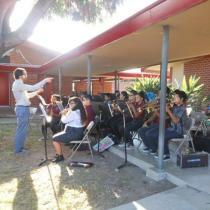 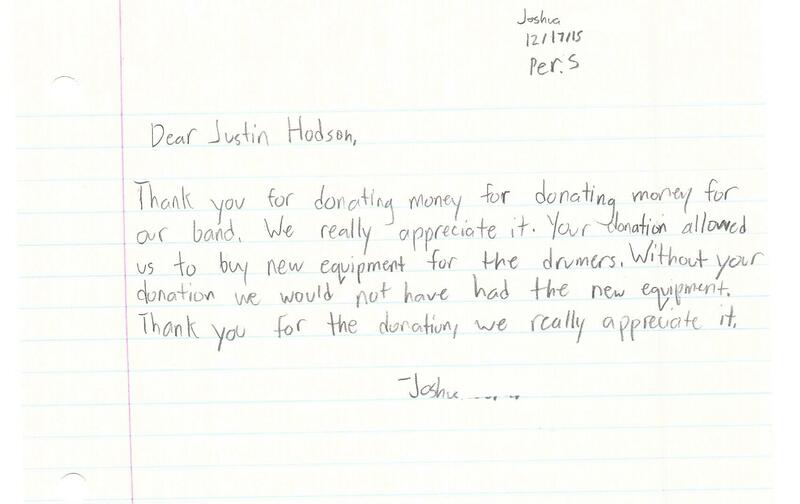 Their music department was in search for funds to build a drum set for the school’s students. 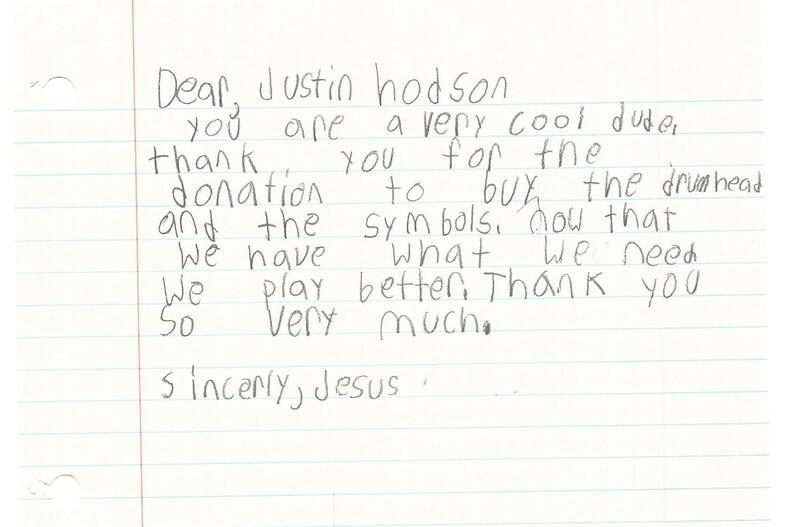 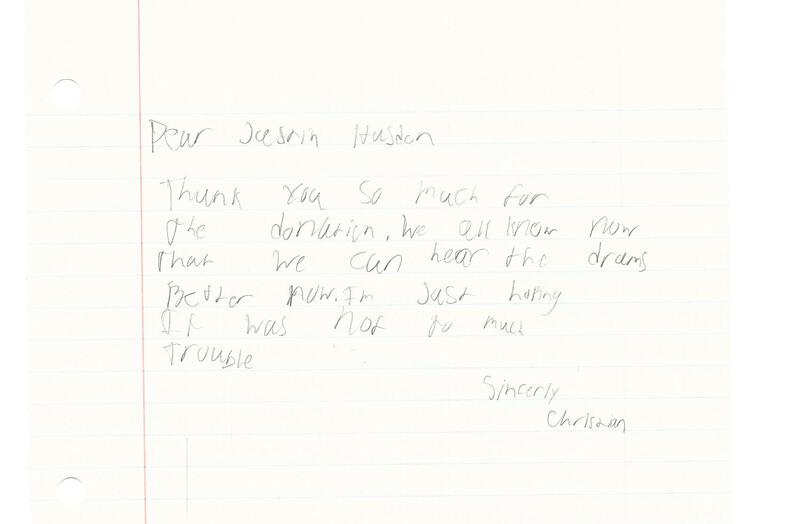 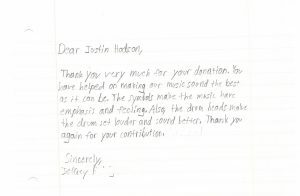 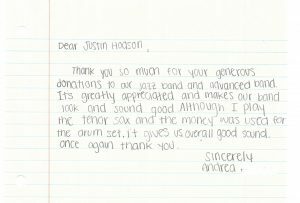 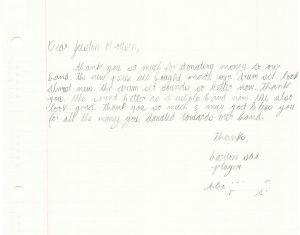 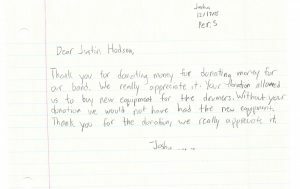 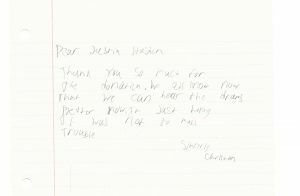 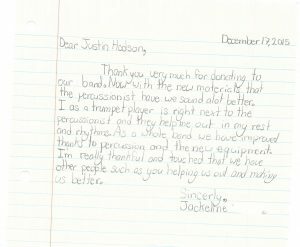 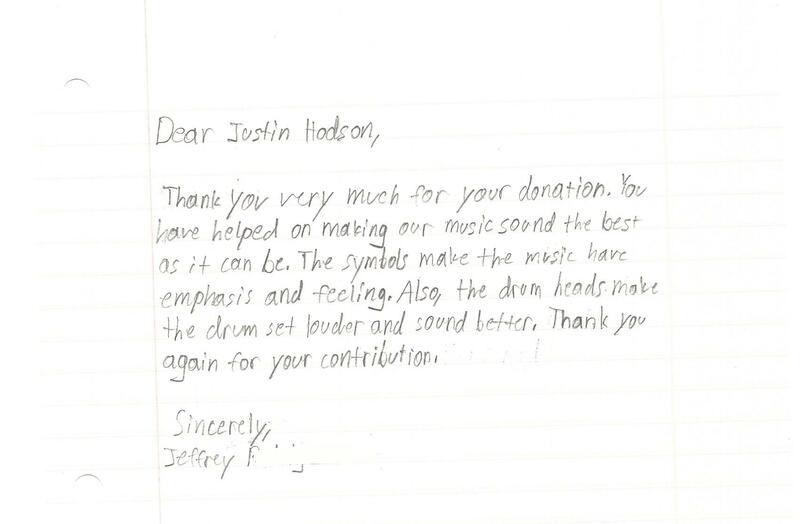 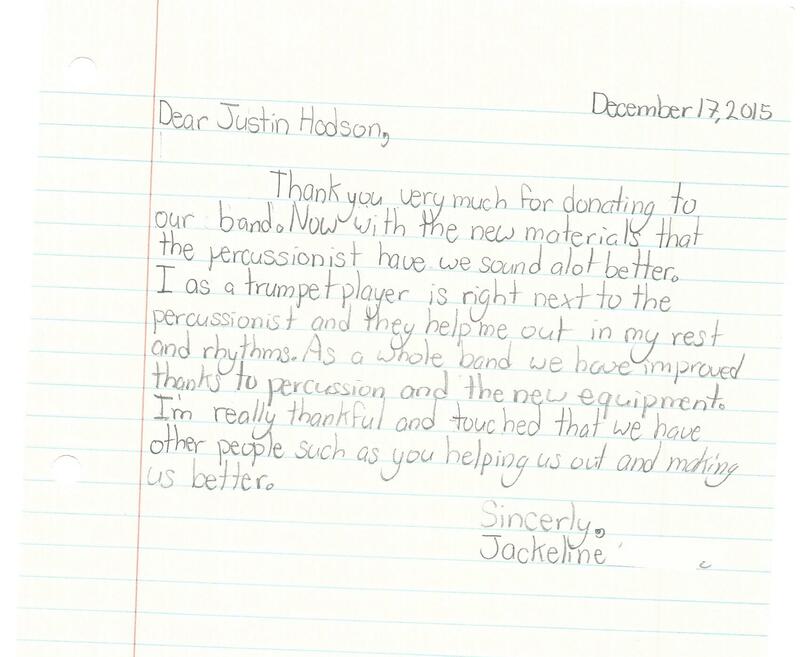 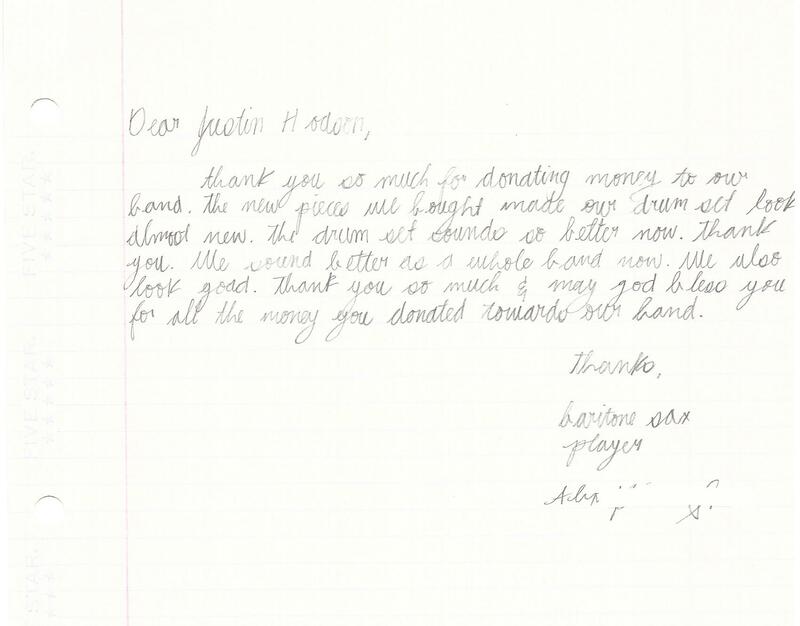 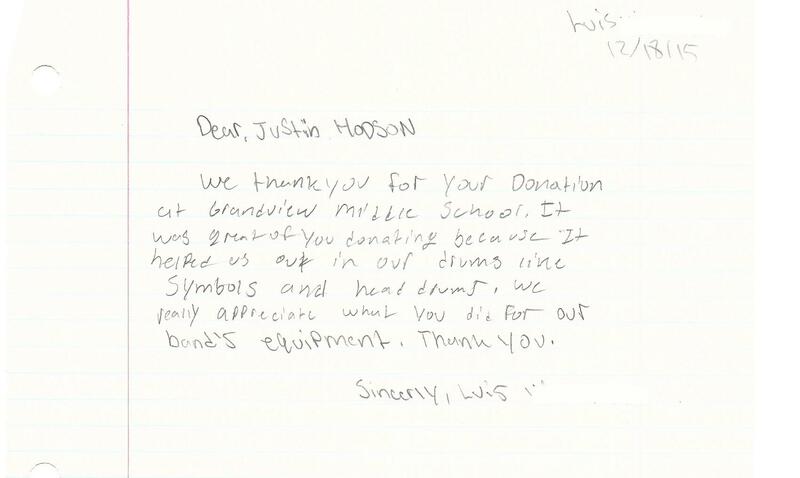 I was able to help them with the funds to purchase the drum set. 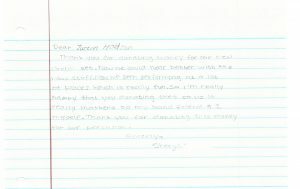 What I want to share are these wonderful letters some of the students sent me. 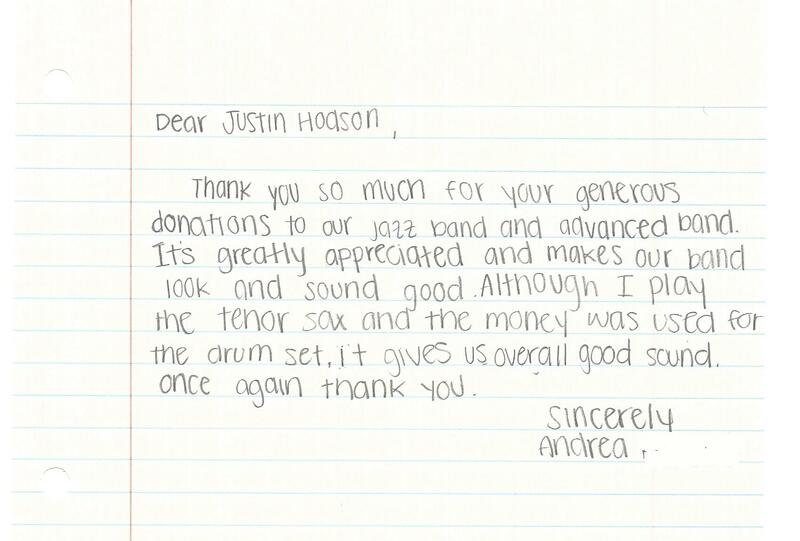 This was truly a gift and a pleasant surprise. 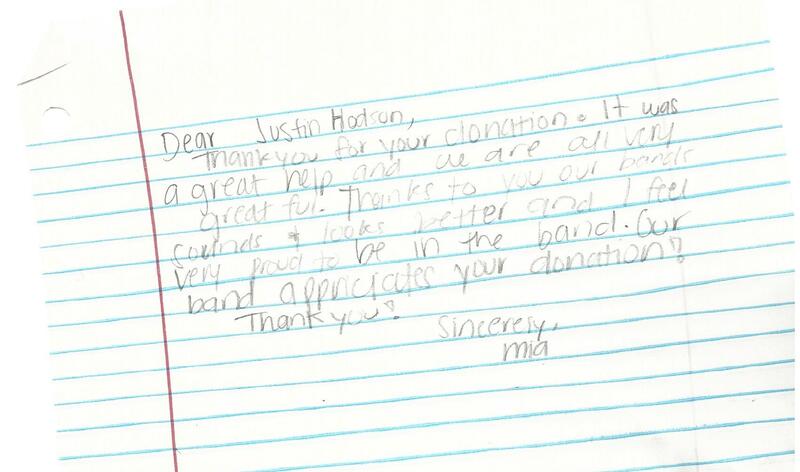 Thank you to Mr. Brown and his student for writing me and allowing me to help them with their futures. 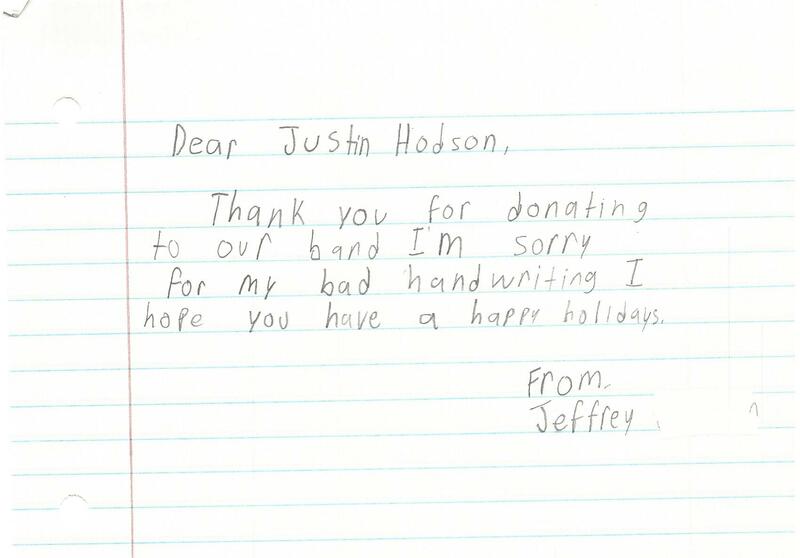 Hodson P.I. 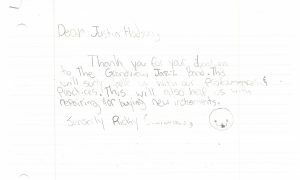 Investigation is dedicated to helping the community when we can. 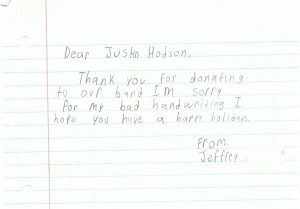 Hodson P.I. 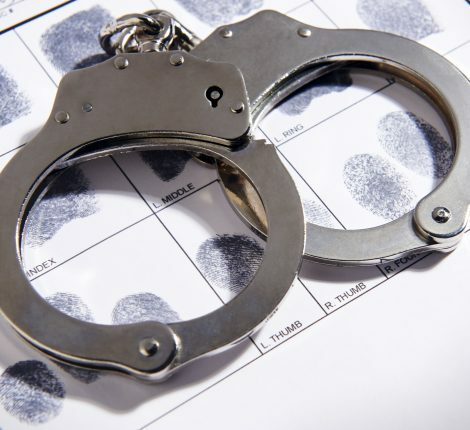 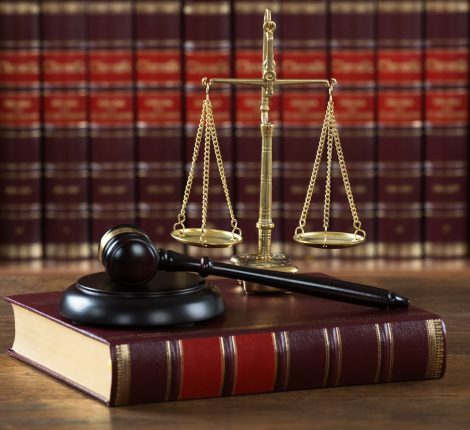 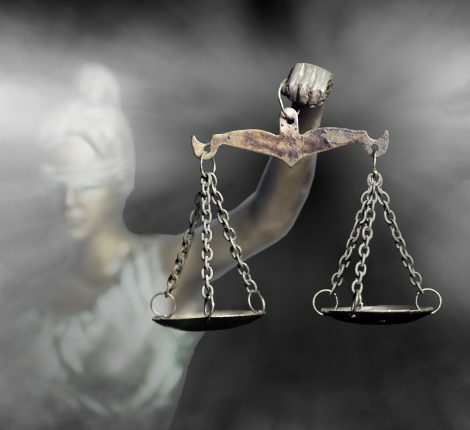 Investigative solutions is a full service investigations firm serving all of California.